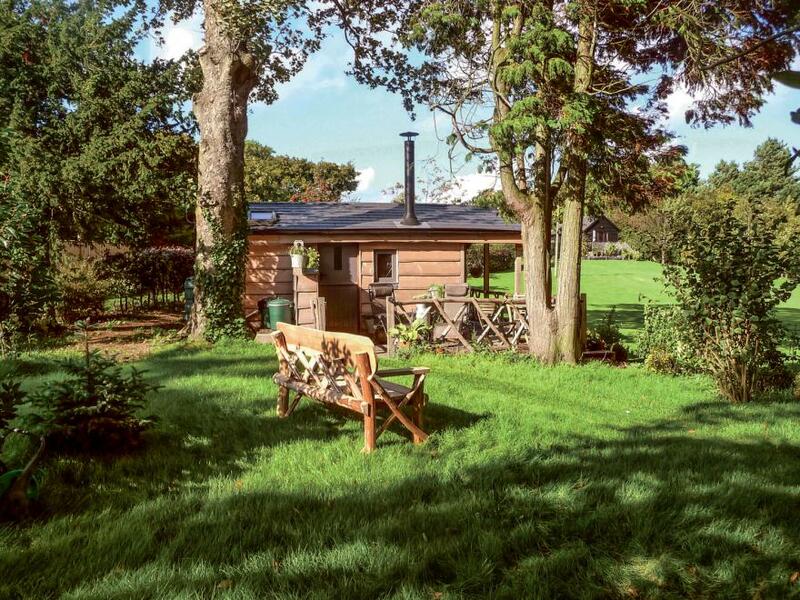 Cedarwood is a wooden cabin located close to Icklesham in Sussex. It has a king size bedroom and a shower room, sleeping two people. Also inside you can find an open plan living area with a kitchen, a dining area and a sitting area with a woodburning stove. To the outside there is off road parking and a decking with furniture. Cedarwood is a cosy, unique property in a wonderful location for a relaxing retreat at any time of the year. 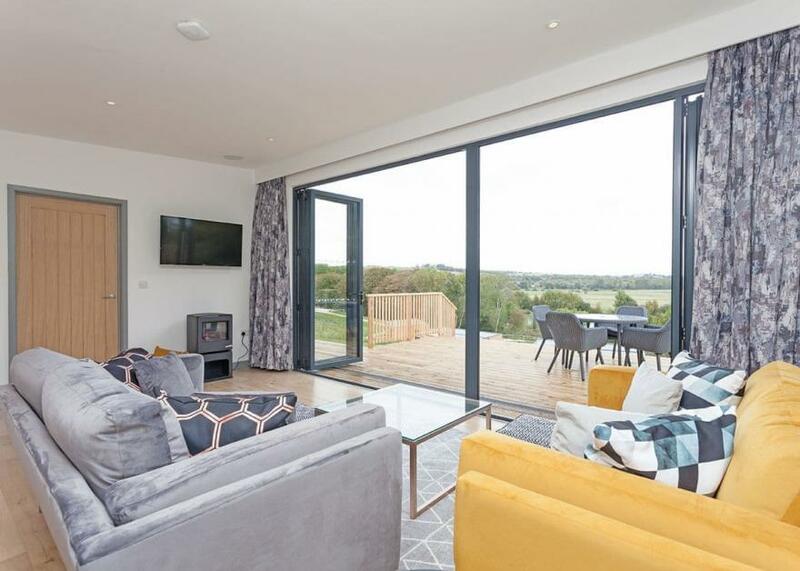 Outstanding and spacious luxury lodge with open plan central living area with two bedrooms at either end to maximise privacy and panoramic views. Two super king size doubles (twins by arrangement), one with ensuite walk in shower and one with ensuite bath with overhead shower both with underfloor heating. Modern, light and spacious open plan living, kitchen and dining area. Terrace with outdoor hot tub and quality garden furniture. Ideal for a romantic getaway or small group of friends. . Swanborough Lakes Lodges is part of our Autograph Lodge Holidays Collection. Nestled in the folds of the South Downs National Park in farmland overlooking the lakes and views across to historic Lewes and it’s famous castle, Swanborough Lakes Lodges provides the perfect location from which to discover the stunning South Downs and the South Coast. This is the ultimate setting for romantic retreats and exclusive breaks for small groups celebrating the very best of the English countryside. These bespoke lodges overlook the private fishing lakes and across the valley towards the medieval town of Lewes to deliver the perfect complement to this tranquil location. With eye catching interior design and contemporary finish, the unique central living layout ensures you can take advantage of the stunning views from the lounge and both bedrooms. The South Downs National Park boasts hundreds of acres of quintessentially English countryside across the famous chalk hills. Providing wonderful, cycling and walking opportunities from the doorstep you’re guaranteed to find something of interest to while away the hours as you discover the local towns and villages hosting all the shops, pubs and eateries you could ever wish for.. Swanborough Lakes Lodges is part of our Autograph Lodge Holidays Collection. Nestled in the folds of the South Downs National Park in farmland overlooking the lakes and views across to historic Lewes and it’s famous castle, Swanborough Lakes Lodges provides the perfect location from which to discover the stunning South Downs and the South Coast. This is the ultimate setting for romantic retreats and exclusive breaks for small groups celebrating the very best of the English countryside. The South Downs National Park boasts hundreds of acres of quintessentially English countryside across the famous chalk hills. Providing wonderful, cycling and walking opportunities from the doorstep you’re guaranteed to find something of interest to while away the hours as you discover the local towns and villages hosting all the shops, pubs and eateries you could ever wish for.. Perfect for relaxing and exploring East Sussex’s wealth of historic towns, quaint villages and beautiful beaches. 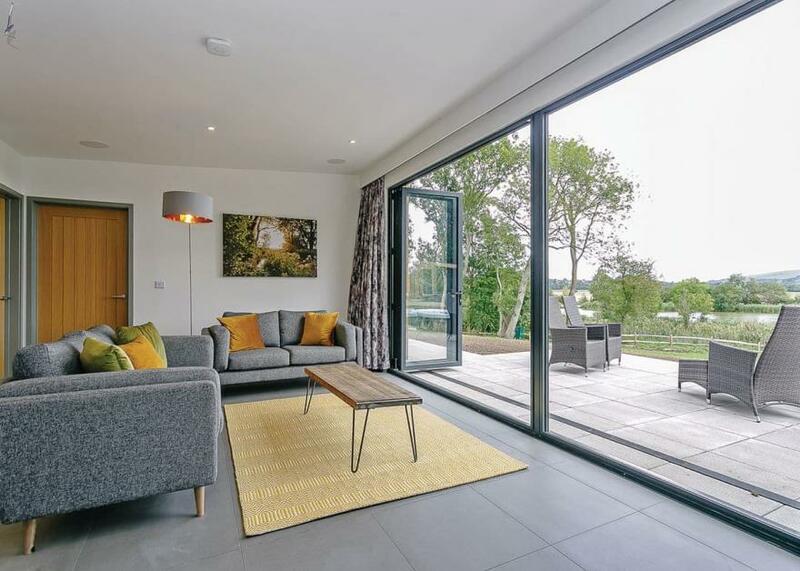 A stunning, modern luxury lodge situated in a premier position with panoramic views and innovative central living layout ensuring views from every room. Two super king size doubles (twins by arrangement), one with ensuite walk in shower and one with ensuite bath with overhead shower both with underfloor heating. Modern, light and spacious open plan living, kitchen and dining area. Terrace with outdoor hot tub and quality garden furniture. Perfect for a small family break or romantic retreat. 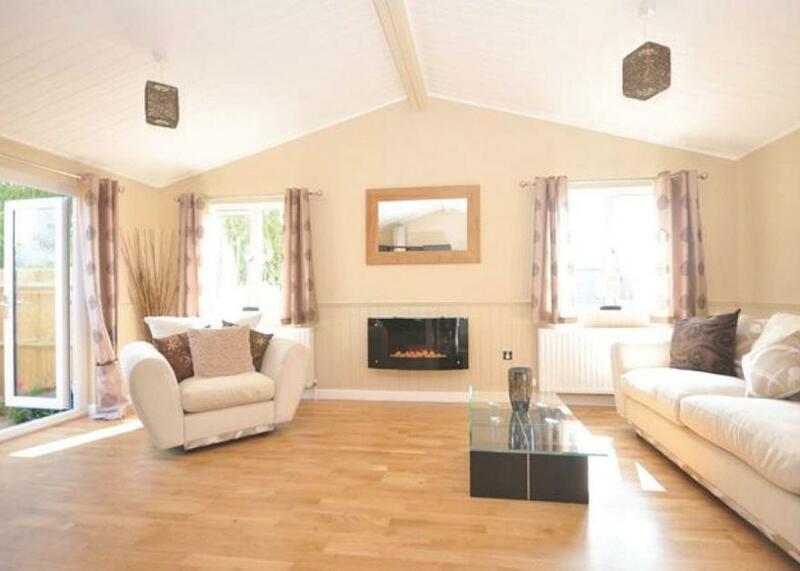 No pets.. Swanborough Lakes Lodges is part of our Autograph Lodge Holidays Collection. Nestled in the folds of the South Downs National Park in farmland overlooking the lakes and views across to historic Lewes and it’s famous castle, Swanborough Lakes Lodges provides the perfect location from which to discover the stunning South Downs and the South Coast. This is the ultimate setting for romantic retreats and exclusive breaks for small groups celebrating the very best of the English countryside. Kerith Cottage is a terraced lodge located in the grounds of Glyndley Manor, near Stone Cross and Pevensey, set in 17 acres of tranquil woodland and beautifully-maintained gardens and can sleep four people. 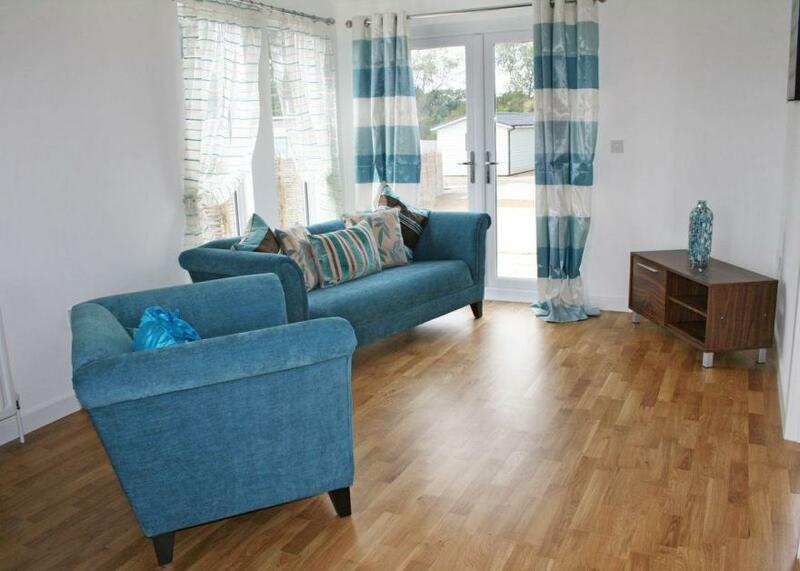 This all ground floor lodge has a double bedroom, a twin bedroom, a shower room and an open plan living area with kitchen, dining area and sitting area. Outside there is ample parking in the car park approx. 100 yards away or disabled parking directly outside on a first come, first served basis. There is also a front lawn area with furniture and shared grounds with woodland, a fishing lake (licence required) and unheated outdoor swimming pool (open Easter to 1st Sept, dependent on weather conditions, from 9.30am to 12pm and 2pm to 5pm). Kerith Cottage is a wonderful holiday base. Beautiful luxury lodge with open plan central living area with bedrooms at either end to maximise privacy and panoramic views. Two super king size doubles (twins by arrangement), one with ensuite walk in shower and one with ensuite bath with overhead shower both with underfloor heating. Modern, light and spacious open plan living, kitchen and dining area. Terrace with outdoor hot tub and quality garden furniture. Ideal for families, small groups or a romantic escape.. Swanborough Lakes Lodges is part of our Autograph Lodge Holidays Collection. Nestled in the folds of the South Downs National Park in farmland overlooking the lakes and views across to historic Lewes and it’s famous castle, Swanborough Lakes Lodges provides the perfect location from which to discover the stunning South Downs and the South Coast. This is the ultimate setting for romantic retreats and exclusive breaks for small groups celebrating the very best of the English countryside. Located on the edge of the Pevensey levels a short way down a farm track this property has the glorious South Downs and its many trails and sights on its doorstep. After a busy morning exploring the Downs a trip to the nearby market town of Hailsham is a must. Overlooking the historic Pevensey levels this vibrant town boasts a variety of local shops and cafes making it the perfect spot to stock up for your stay. Inside this stunning eco lodge the open plan kitchen/diner has been designed to make the most of the view across the landscaped garden. With timber units and flooring to match the Scandinavian style this room features a farmhouse table and chairs with sliding doors beyond to offer a meal with a view. Here you will find an electric oven and hob microwave fridge dishwasher and washer/dryer. The lounge is a light and airy space with a sofa bed for an additional guest comfy chairs and a TV with DVD player. The lounge boasts the same large sliding windows to the outside as does the bedroom which also features a luxurious sleigh bed and plenty of storage space. The shower room is clean and bright with a power shower heated towel rail basin and WC. Sofa bed available at an additional charge. Outside the decked area that stretches the length of the property is the perfect spot for a morning coffee or evening drink while the patio area beyond is great for BBQs. This gives way to a beautifully landscape garden with a lawn and an impressive array of plants that attract plenty of wildlife. This cabin is situated on the banks of the River Rother overlooking Romney Marsh with Rye s ancient Citadel rising in the distance. Rye is a very interesting historic town and one of the original Cinque Ports.It has become known as a chic and arty destination with its boutique style shops antique emporiums galleries and choice of eateries including pubs teashops and restaurants. There is even a small independent cinema with two screens. There are various festivals throughout the year including the Rye International Jazz Festival Rye Scallop Festival the Rye Arts Festival and the famous bonfire procession and fireworks. For beach lovers Camber is close by with its sand dunes and expansive seascape where you can pass the time swimming beachcombing or maybe even try your hand at windsurfing. The beautifully eerie Dungeness is around 20 minutes away and fashionable St Leonards & Hastings are a short hop by train or car. The cabin design is modern rustic meets beach house with interior walls clad in beautifully weathered timber and wooden board on the floors and outside on the deck. The owners friendly dogs are onsite and are happy to welcome you to their home. 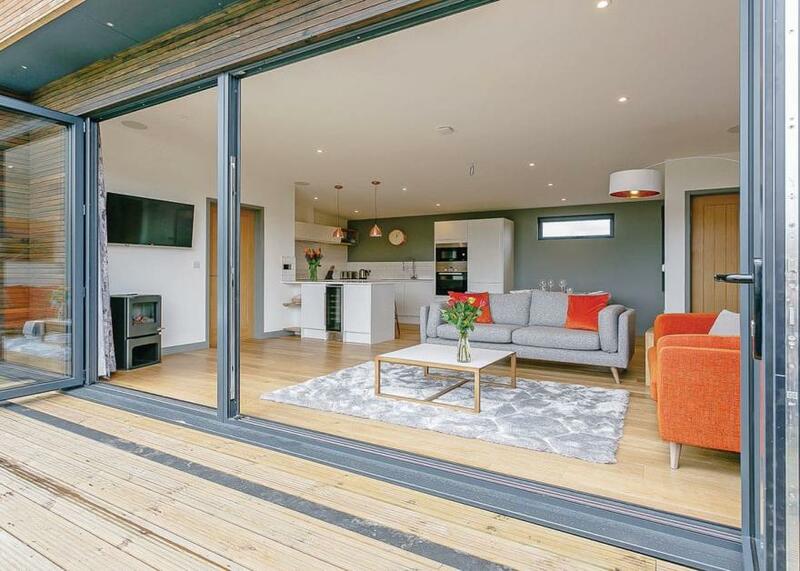 The entrance to the cabin is via French doors which lead you from your own decked area. The accommodation is spacious and open-plan. Immediately to the left is a stylish lounge area with a comfy sofa stylish retro chair and large Smart TV which can be angled either towards the lounge area or the bed. Beyond the lounge area is sumptuous super-king-size bed with Siberian goose down pillows and duvet with Egyptian cotton sheets perfect for a romantic getaway! The painted headboard houses bedside lamps and cleverly disguised storage for clothes etc. To the right of the entrance is the kitchen and dining area with a mid-century modern dining table and chairs. The small but well-equipped kitchen consists of an electric oven and hob fridge with ice compartment microwave and Nespresso machine. The bathroom has a shower over the large bath toilet and basin. The bathroom is partly clad in beautiful Moroccan zeliges tiles. Outside on your decked area there are two wooden sun loungers and a ping pong table with amazing views over the water great for a relaxing break away from it all. Contemporary, luxury lodge with one double and one double or twin (please request at time of booking). Shower. 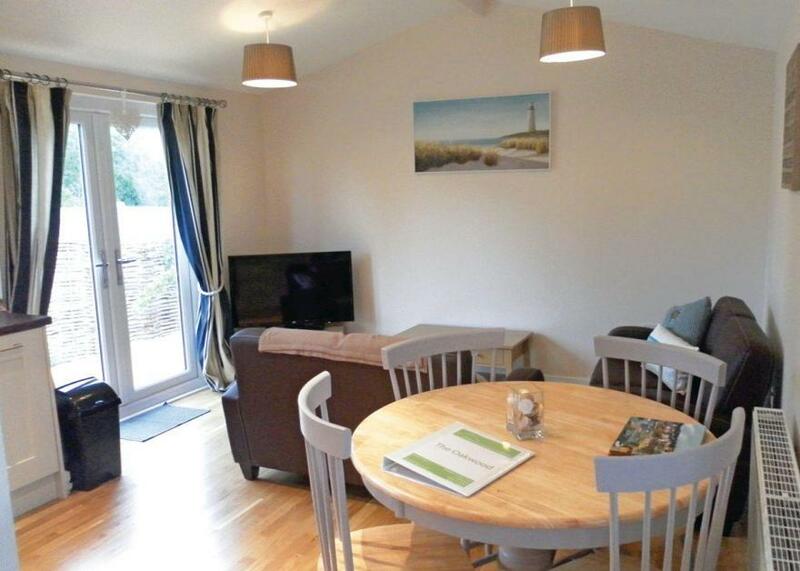 Spacious open plan living/dining area with patio doors leading to outdoor hot tub.. Superbly located just a short drive from famously elegant Eastbourne, these peaceful lodges sit close to the glorious, unspoilt South Downs. A selection of superb country pubs offering local ales, live music and a variety of cuisines are all within easy reach. 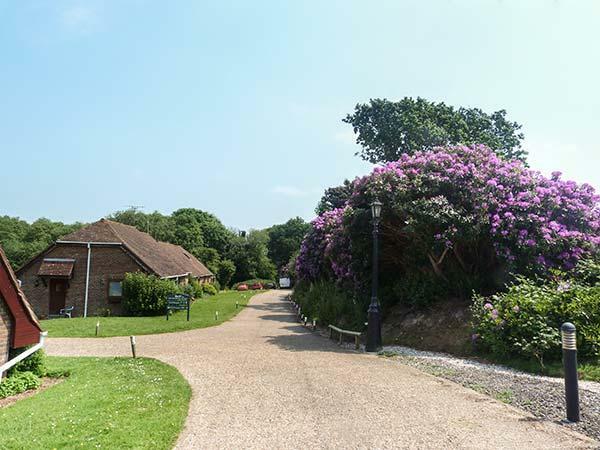 Championship golf with spa facilities and swimming pool, excellent shopping and the delights of Glyndebourne, Lewes and Brighton await nearby.. Superbly located just a short drive from famously elegant Eastbourne, these peaceful lodges sit close to the glorious, unspoilt South Downs. A selection of superb country pubs offering local ales, live music and a variety of cuisines are all within easy reach. Championship golf with spa facilities and swimming pool, excellent shopping and the delights of Glyndebourne, Lewes and Brighton await nearby.. Perfect for relaxing and exploring East Sussex’s wealth of historic towns, quaint villages and beautiful beaches. Contemporary, luxury 12ft-wide timber clad holiday home with one double and one double or twin (please request at time of booking). Shower. Open plan living/dining area. Outdoor hot tub.. Superbly located just a short drive from famously elegant Eastbourne, these peaceful lodges sit close to the glorious, unspoilt South Downs. Spacious luxury lodge with one double with ensuite shower and one double or twin (please request at time of booking). Bath with overhead shower. Large open plan living/dining area. Outdoor hot tub.. Superbly located just a short drive from famously elegant Eastbourne, these peaceful lodges sit close to the glorious, unspoilt South Downs.